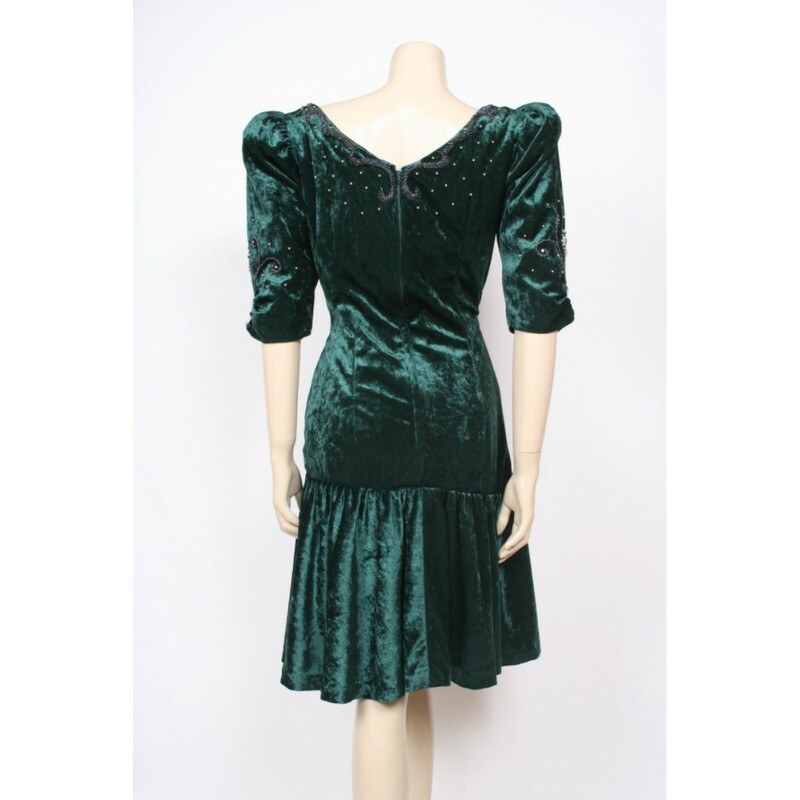 Ace 80's party dress for the festive season, this dress is sure to get you ALL the attention! 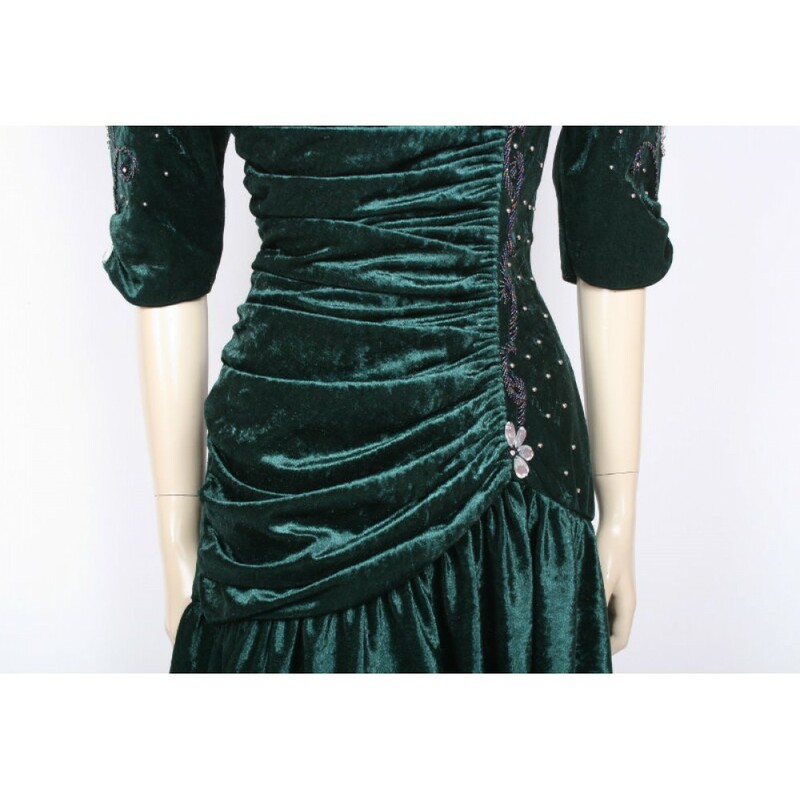 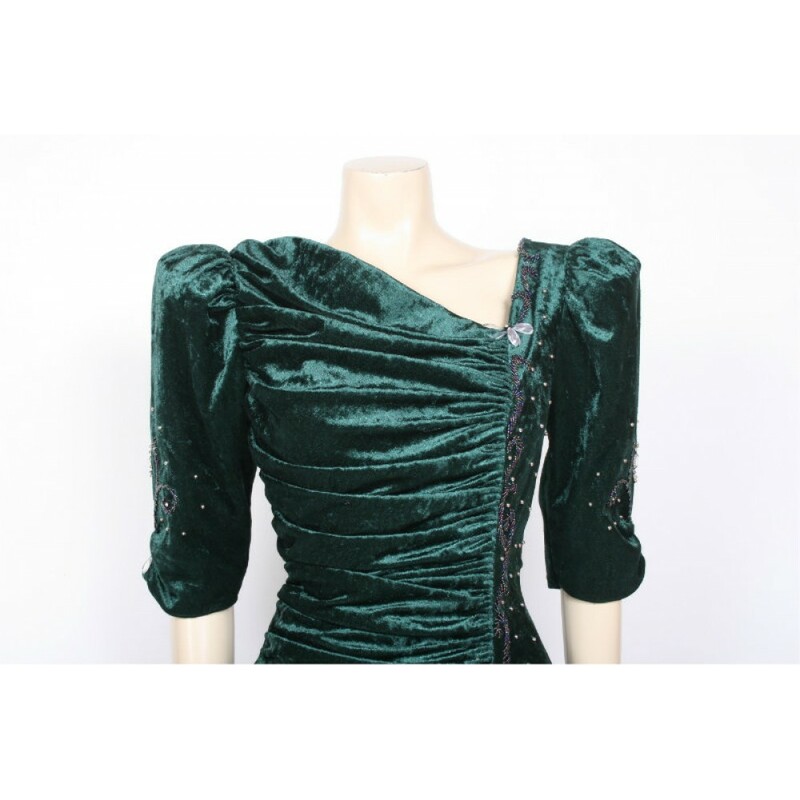 Really excellent quality, soft poly crushed velvet in deep winter green, lined, zip at the back, ruched detail for a perfect flattering fit, mega puffed shoulders and jewelled and beaded detail all over! 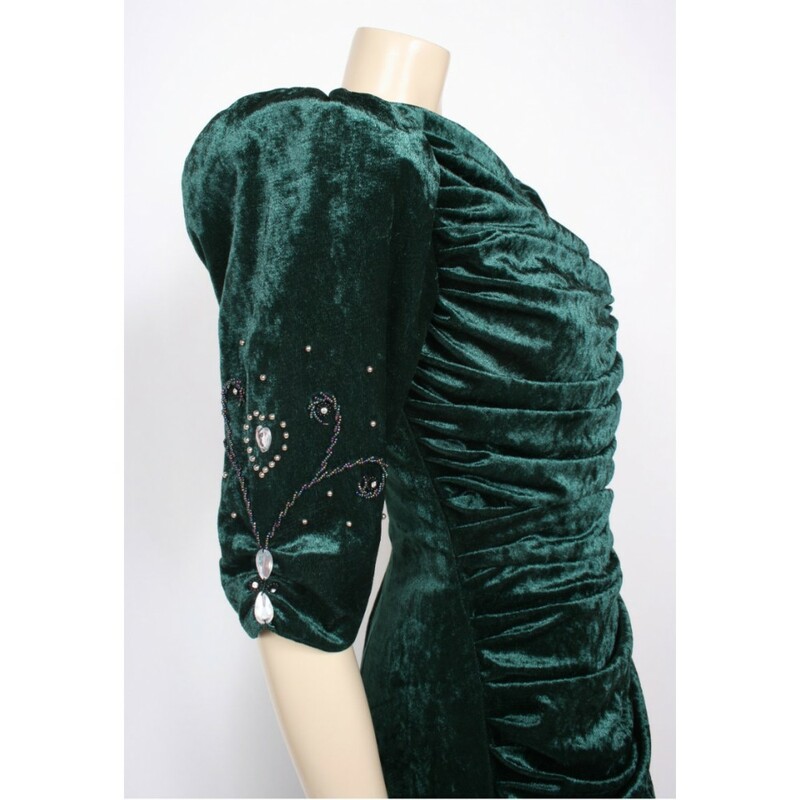 Wowee! 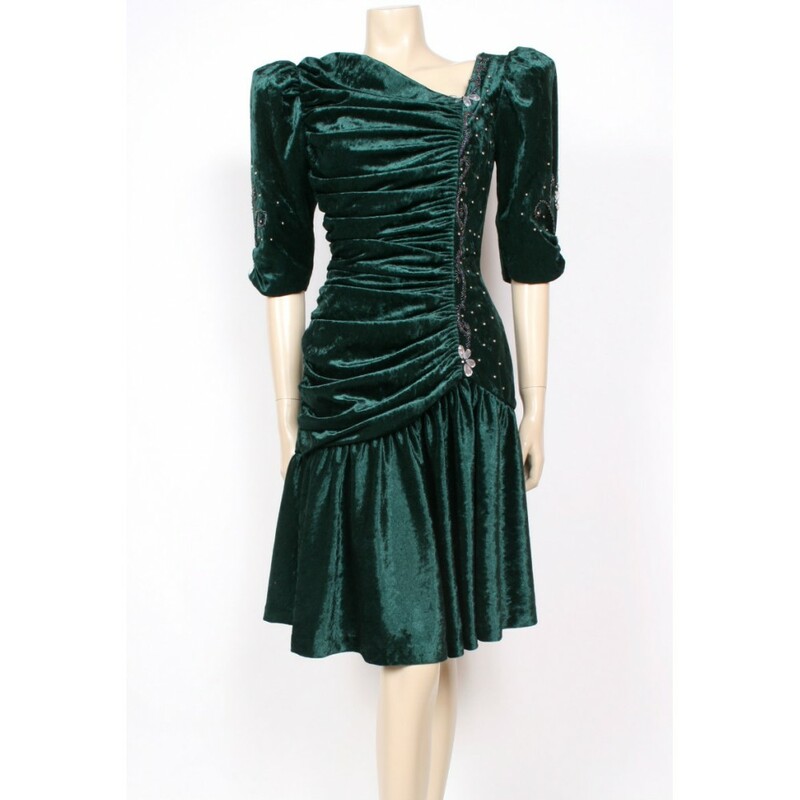 Size UK 14; bust 38", waist 32", hips 38", total length 39"